It's a two week countdown!!! I thought I'd let you know what I have planned, not just because I have a hard time keeping a secret, but because I want to give everyone enough time to participate! It is an entire month of sewing, inspired by children's books! At first I wanted to have just clothing inspired by children's books, but then I thought of all the other projects that could come from this, so it doesn't necessarily need to be clothing. Is this like Christmas, or what?! I want this to be fun. If you want to use a pattern, great! [Just give credit if you've used someone's tutorial or pattern.] If you want to come up with something completely your own, kudos! You are welcome to do clothes for kids, clothes for you, toys, accessories, games, whatever strikes your needle, just as long as it's made by you. Knitters and crocheters are also welcome. I'm not picky, hehehe. In addition to inspirational work of you and the above bloggers, there are going to be an array of giveaways sprinkled throughout the month, all based on the theme of sewing and children's books. Created by my ohsotalented sister-in-law, Olivia, who has graced us with her appearance here before. She's goooood, if you're in the market for graphic design. Ladies,and gentlemen, get rummaging through your books and start your[sewing machine] engines!! That sounds SOOOO fun! I can't wait to see what everyone comes up with. This is going to be so, so much fun!!! thank you Katy! what a fabulous idea!! my little guy has been bugging me to make him a thneed! oh dr, seus how we love you, but what am i going to do with a thneed?! cant wait! Holy smokes, I am so excited! How exciting. I added the button! I wish I could sew more than a crooked line, but it will be fun to see what everyone else does. That sounds so whimsical and original! I see great story book inspired prints at the quilt shops, but never thought of your theme before. Can't wait to see what you make. Fun times! this is great! How fun. This will be a great way to get into sewing. (I am just beginning.) I'll share this on my blog for sure and see who else we might get to join in on your fun. reading & children's books are my first love! how kind of you to introduce my new suitor Sewing to my long-standing beau Literature. I'm so excited for this! Yea Katy--you are a genius:). This is going to be so great. Maybe I'll even try something. A Babar-inspired, kelly green suit for Holden? Who knows? I just about peed my pants!!! I am a mommy, library worker, sewer and children's book collector...could this BE any more perfect for me? Great idea! I'm so excited! Oh..neat idea! I would love to participate. Thanks for the warning...now I will have a chance to plan. I read this post this morning and thought, "what a cool idea" Then I thought, "i want to join in and do this." Gather up books and ideas as I type. So fun! I don't sew much... yet. But I love reading sew-y blogs (got here through 'A Lemon Squeezy Home') And I've recently been brainstorming fun ideas because my little niece has fallen in love with books. YAY! Oooohhhh! Soooooo exciting!!!!! Really looking forward to it! thanks for the plug. ;) and for trusting me with your very first official fancy-schmancy button. I love the "These are my excited eyes." That is so hilarious. I think Olive must be just like you. She looks so much like you with her facial expressions. Yes, it is very much like Christmas! Especially stacked up with Celebrate the Boy. thanks for organizing it! Ooo. I have many ideas. This definitely sounds like fun! I LOVE children's books I've had some ideas of things I wanted to make for my classroom (art teacher) and this is the push to do so. I'm excited to see all the projects! Oh I cannot wait. I recently saw this blog post that blew me away. It's the most amazing interpretation of a childrens book into embroidery I've ever seen. I've been itching to get out my floss ever since. I already know what I'm going to sew! Off I go! I love it! I already have quite an idea for something I would like to do, so now to actually get it done. I look forward to next month!! I think this sounds awesome! What an amazing line up. I can't wait! Katy this is going to be so fun! What a fun idea to use children's books as inspiration. I can't wait to see what others make. Love your new banner! It's so pretty and fun! Today I mentioned my next storybook project: 'Nurse Nancy', and a couple of people directed me to your blog. What a fun project idea! Two of my favorite things... creating and children's books. Gotta get going! I'm excited! I just posted the button on my blog! This sounds like so much fun!! My daughter LOVES books, and it would be cute to make a few of her favorite characters for her to play with! Wow! My DD loves fantasy and so do I. Do projects created before march count, like i have made her fantasy-ish pettiskirt for valentine's will that be accepted! I've been lurking forever, but your excited eyes inspired me to chime in for once. 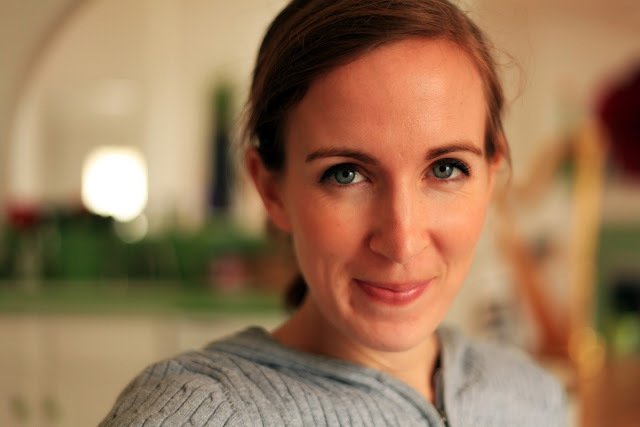 Your blog makes me happy. And makes me feel less alone with my very 'spirited' child. this looks like so much fun!!! I take a blog break for Lent but will back after Easter to see what everyone came up with!!! Oh My AWESOME!!! 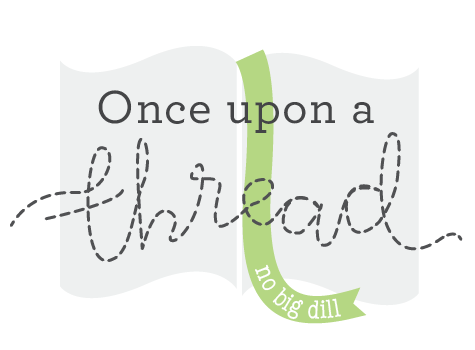 I popped on over to your blog after the Harold/purple crayon coat appeared on Craft, and reading more about Once Upon A Thread has me Way. Beyond. Excited. Looking forward to reading more--thank you for what will be, I'm sure, a totally incredible roundup. What a great idea! I can't wait to see what everyone comes up with! This is WAAAAY out of my league, but I love it!